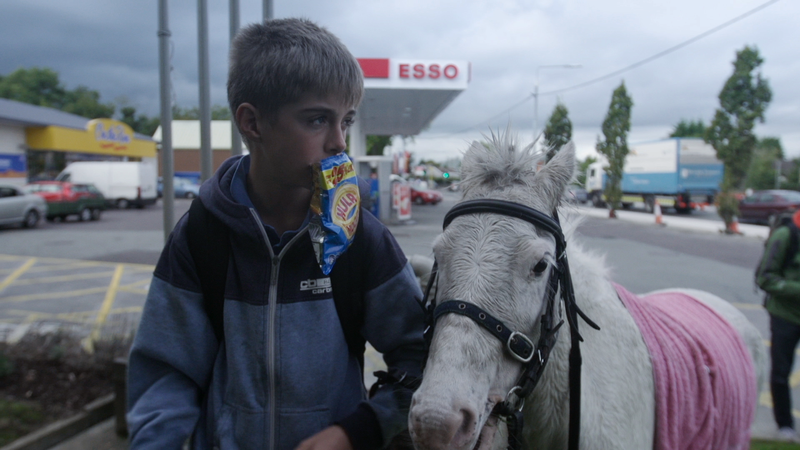 Dylan is a restless and troubled 14-year-old boy living in Clondalkin, a notorious district in West Dublin where there are more problems than prospects. Yet, some of the teenage boys there find a way out of drugs and trouble by becoming “urban cowboys” who illegally tame and ride wild horses. During a dark period in his life, Dylan becomes attached to a white mare he names after his recently-deceased mother. His grandparents, who are raising him, try to maintain discipline, but soon recognize what the animal means to their grandson. Born in 1981, Paweł Ziemilski graduated from the the Łódź National Film School and the Wajda School in Warsaw. His short documentary and fiction films have received widespread publicity at numerous film festivals around the globe and have earned many prestigious awards. His documentary, Rogalik received an IDFA nomination in 2012. It has also been shown and awarded at festivals such as Zagreb Dox, Alcine Festival (First Prize), festivals in Oberhausen, Beijing, Bucharest, Cracow and others. Apart from directing, Paweł Ziemilski is involved in social animation and organizing workshops for those deemed “troubled youth”.